There are a wide range of products that should be stored at a specific temperature – food, medicine, chemicals, electronics, even wood or clothing can have specific needs when it comes to storage, whether they need to be kept higher or lower than room temperature. Temperature control can sound like an imposing challenge, but the initial steps can be remarkably straightforward – it’s as simple as the door you use. A client in Nottingham has an insulated store unit that needed to be kept at a cool temperature. While the unit was well insulated, the door was not. The single-skinned roller shutter meant the unit was heating up too much in warmer weather. We replaced the single-skinned door with an insulated roller shutter. 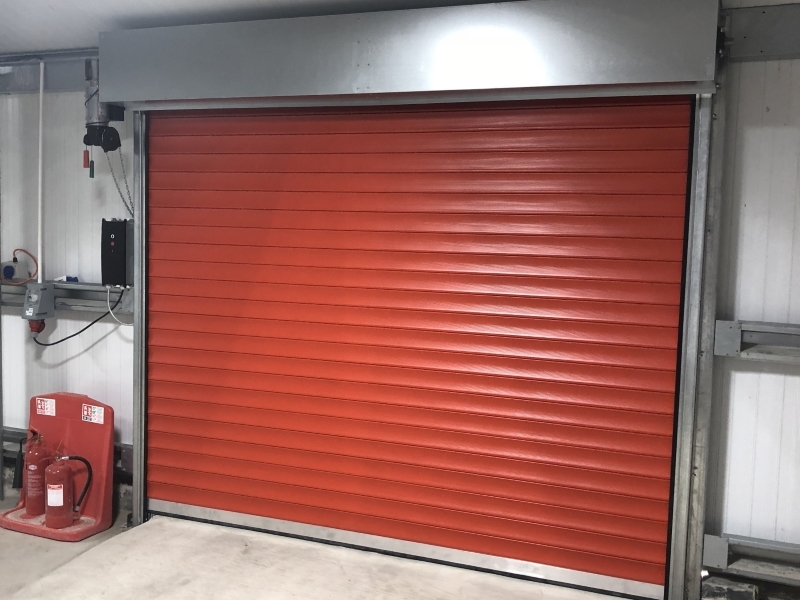 These steel shutters feature weather seals and foam insulted lath, that improve temperature control – heat is kept out of the unit more efficiently than with an uninsulated door. Our insulated shutters have an insulation rating of 0.69W/M.sq.K. through the centre of the insulated lath – for comparison, single-glazing windows have a rating of four or five, while double glazing have a rating of two to three, which should display how drastic of a change the insulation can make. This change has made a big difference to the unit, allowing our client to better maintain the ideal temperature, reducing reliance on air conditioning and refrigeration. This has had the knock-on effect of reduced ongoing temperature control costs. 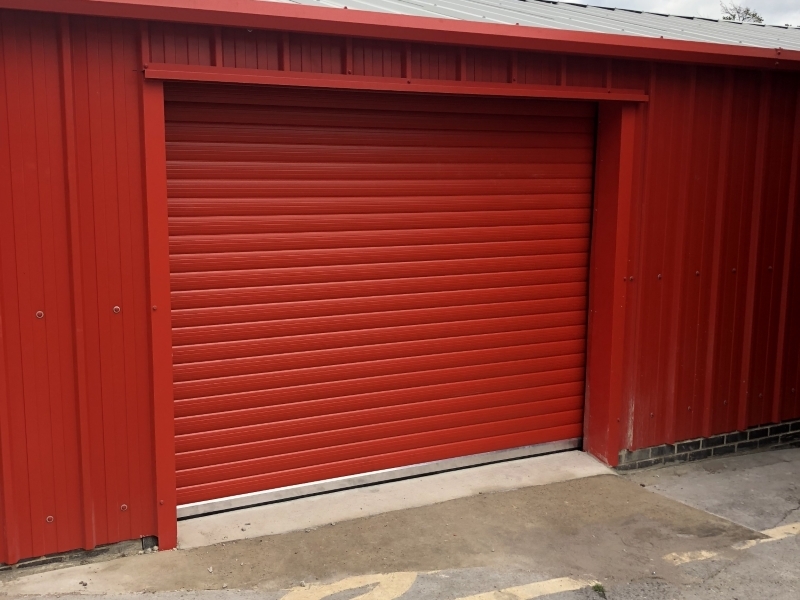 The final touch was the finish – the external walls of the unit were finished in an eye-catching red colour, which we were able to match for the plastisol finish for the door – we can provide a range of BS and RAL colour finishes across the doors we install. If you have any questions about insulated roller shutters, or are interested in a quote, then please don’t hesitate to get in touch with our team! We’ll be happy to help.